Laughter and wonderment are guaranteed. 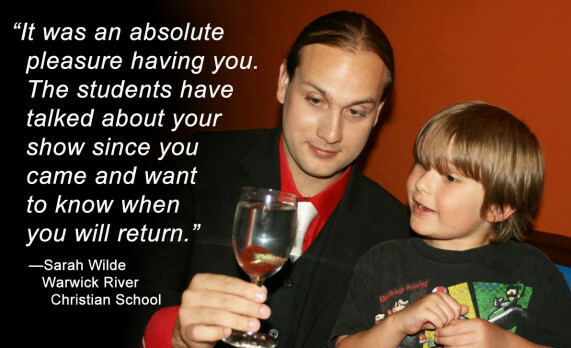 Joseph De Paul is the comedy/magician who offers a flexible approach to fit your needs and circumstances. Joseph can offer a close up magic show for intimate engagements or a stand up show suitable for larger events. 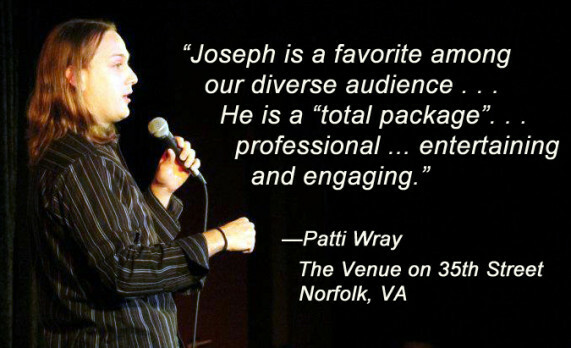 Whether you want to enhance the experience of your guests at a private party, fundraiser or any other event, Joseph will be sure to work with you to give you and your guests the best show possible. 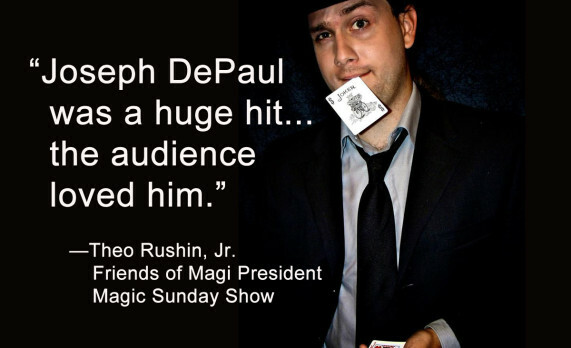 Joseph De Paul has been performing magic for over four years, appearing in comedy clubs, theaters, and private engagements from Virginia Beach to New York. His shows are best enjoyed by ages 13 and up. Joseph got his start in Magic in 2008 while living in California, but it wasn’t until he moved to Maryland in 2009 that things began to come together. While living in Maryland Joseph worked diligently on the craft of magic and the art of performing. During that time he earned a reputation in the area for his skill in sleight of hand magic.